Resolving the toxin and reducing inflammation, anti-bacteria and dishibiting urine. Gardenia & Poria Combo (Niao Lu Xiao Yan Ling) is an herbal remedy that helps promote and maintain a healthy urinary system by establishing the body’s natural balance. Use for urethritis, cystitis, pyelitis, orchitis, chronic nephritis etc. Take 5 tablets, 3 times aday. 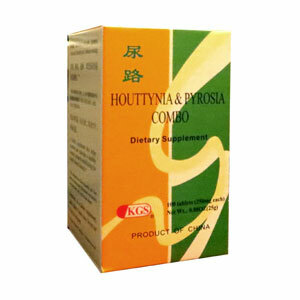 Be the first to review “Gardenia Poria Combo – Niao Lu Xiao Yan” Click here to cancel reply.